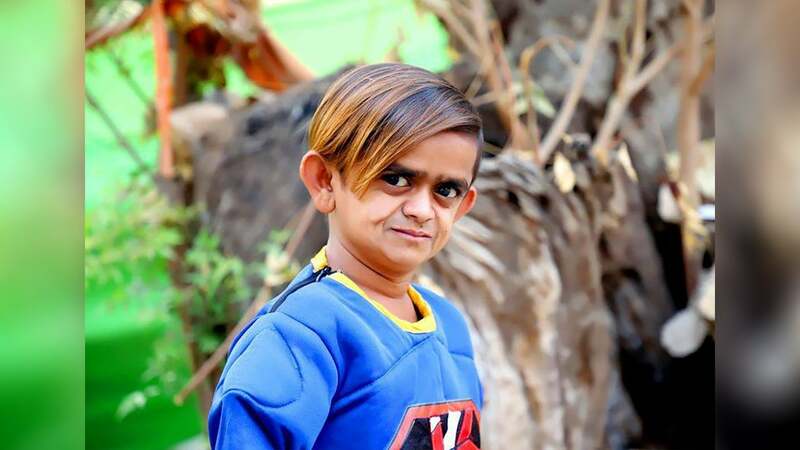 Shafeeq Chotu also known as Chotu Dada is a very popular Indian youtube personality and a very talented comedian. His youtube channel that is Khandeshi Movies has over 5 million subscribers. He is famous for his short films & comedy movies. He is very much popular on youtube his videos cross 1 million views in just 24 hours and also one he had created a lot of awesome and comedy videos that have more than 50 million plus views on youtube and that is a huge milestone for any youtuber. Shafeeq Chotu was born on 25 November 1991 at Malegaon, Maharashtra, India. He is 27 years old. Before coming to youtube, because of his small height, everyone on his village makes his joke. So Shafeeq wanted to do something in his life but he didn’t find any way. So then he meets Mr.Wasim who lives in his village and who directs the youtube videos he asked for work to Mr.Wasim and Mr.Wasim happily given chance of acting to Shafeeq for the youtube videos, because of his small height, everyone calls him Chotu and from that, his nickname was formed that is Chotu Dada. He started making comedy videos on 10 February 2017 and then he got the character of Chotu Hulk on Mr.Wasim’s channel. The acting of Shafeeq as Chotu Hulk was liked by a lot of people and many people appreciated the work of Shafeeq and after that, he worked in a lot of short films and comedy videos and soon he become Youtube star now his every video cross millions of views in no time. He also has one very close friend that is Ramzan Shahrukh and we can see Ramzan Shahrukh in his every video. He also got offered by a lot of directors to act in Bollywood movies so soon in the upcoming years we can see him in Bollywood movies too. Shafeeq belong to a rural area that is Malegaon, Maharashtra. Nothing much is known about his parents or family. These were the latest information about Shafeeq Chotu (Chotu Dada) Biography, Age, Height, Weight, Wife, Wiki & More. Please do share guys this post with your friends and keep visit on NamesBiography.com for Indian celebrities biographical updates. You may share your experience or any kind of suggestion with us by leaving a quick comment below. Thank You! If you are singe I would love to meet and if lucky i even would want to marry you, not just because of your talent nor income but mainly because i find you very lively and strong willed and which is worth the respect. I adore the mischievous look in your eyes its one of the best features about you i feel and not just me my mum and brother are all so in love with your mischiefs. Keep spreading love and joy and most importantly keep being the strong person that you are and never let anyone take you down.. lots of love and encouragement.